GRONINGEN, Netheralnds (VIP NEWS) — Hungary’s Sziget Festival enjoyed a record-breaking 2015 event, selling out three days despite increasing its daily capacity to 90,000. 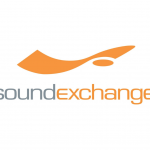 Held from 10-17 August, artists included Robbie Williams, Avicii, Kings Of Leon, Kasabian and Ellie Goulding. Organizers say 441,000 people from 95 countries attended over the course of the event. “We worked hard to create a festival that has its own unique identity,” said Sziget’s main organizer Karoly Gerendai. "Our aim in the long term is to make sure Sziget’s image gets independent from its headliners, as we believe the most important features of the event are not necessarily playing on the big stages. 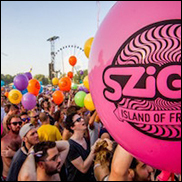 “To keep it simple, we try to give good reasons for fans to come to Sziget. We’re still trying hard to get good bands on our stages, but we also try to make sure that fans choose Sziget because we offer more: a huge adventure, a cultural holiday, an experience-packed week full of positive surprises. That’s what we will keep on focusing on, while we definitely don’t want to be involved in a dangerous competition to get overpriced headliners. That’s just not our path. Next year’s Sziget has been set for August 10-17.